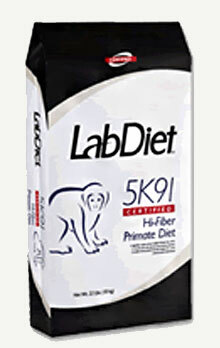 Monkey Diet a complete-cycle diets for all Old World Primates. This diet is formulated using the unique and innovated concept of Constant Nutrition®, paired with the selection of highest quality ingredients to assure minimal inherent biological variation in long-term studies. This product is available as an extruded biscuit containing stabilized vitamin C and vitamin D3.